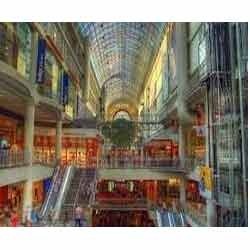 We are counted amongst the top companies involved in offering Shopping Mall Repair Service for shopping malls & hotels. We have a team of qualified and well-experienced professionals who render these services using best quality raw material and advanced technology. These are very flexible in nature and are provided for various malls and shops. We also assure to deliver our services in a time bound manner. Rashmistar Constructions has commenced its business in the year 2003. The company, since incorporation, is involved in manufacturing and supplying a comprehensive range of Onex Marble, Wall Paint, Floor Hardener, Concrete Penetrating Corrosion Inhibitor and many others. Apart from this, we are also involved in offering trustworthy Construction Contractor Service and others to our valuable clientele. The products we offer are developed using optimum quality raw material and hence acknowledged for its unmatched features such as high mechanical strength, optimum performance, easy installation, tensile strength, easy maintenance, reliability and many others. The services offered by us are rendered by specialized professionals, as per the exact demands of clients. We do not make any compromise with the excellence; therefore adopted several measures and guidelines suggested by the industry to ensure that our products meet prescribed industrial quality standards. Besides, with the incorporation of advanced production methods, we have kept our position at the top among leading firms of the industry.